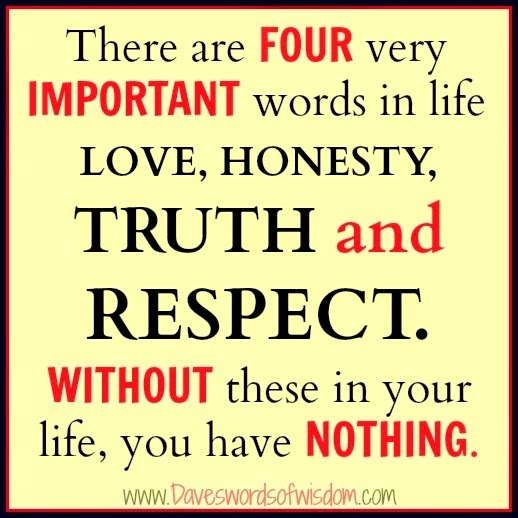 Daveswordsofwisdom.com: Love, Honesty, Truth and Respect. Love, Honesty, Truth and Respect. There are four very important words in life. Love, Honesty, Truth and Respect. Without these in your life, you have nothing.